American Herring Gull (smithsonianus) K61 / 17 2nd cycle (3CY), March 24 2009, Boston, MA. Picture: Jim Hill. 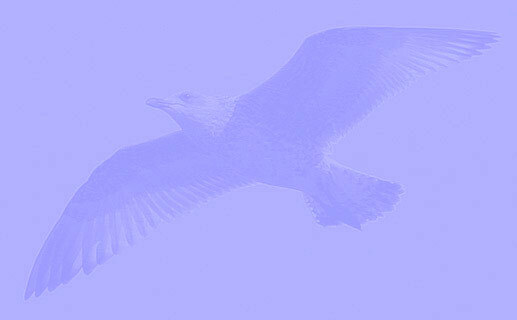 Banded a week ago, on March 17 2009, on Revere Beach, MA, as sub-adult Herring Gull. 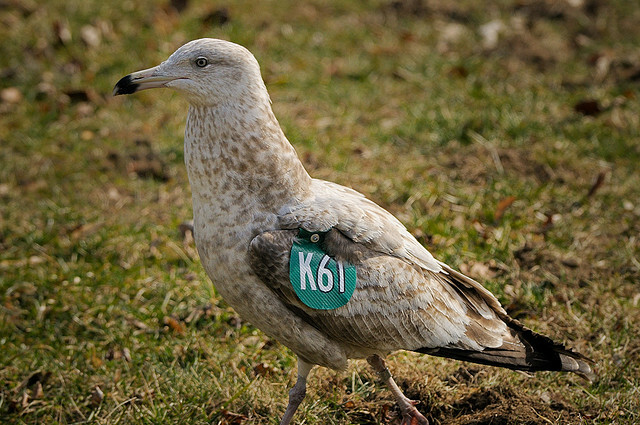 Tagged with green wing-tags: K61, orange leg band: 17 and Federal band: 1146-31841. Released on site. This is the first sighting of this bird. For info on this project (water quality protection project): DCR site. Overall beige-brown aspect, still no adult-like grey scapulars moulted in. Note pale eye.